Since 2014 we have been successfully advertising Addiction Treatment Centers on Radio and Television. Prior to than our cofounder Bruce Berman spent 10 years in Direct Response Marketing, advertising products for sale on the Radio, TV, Internet and Via Direct Mail. Bruce has written and produced numerous national radio and television ad campaigns. Having aired over 100,000 commercial spots, on radio and television, his experience will save our clients from making costly mistakes, and produce actual intakes. Addiction treatment TV and radio marketing can be very expensive. You need to know how to cost-effectively reach the people who are looking for your services. Advertising on radio and television for addiction marketing cost a lot less than people think. You can get a good radio ad produced for under $500, and test it over a few weeks at $2,500 a week. If it gets you one intake, step on the gas a little bit. If your phone doesn’t ring a little, somethings wrong. When a 60 day stay in treatment can be $50,000, a weekly budget of $2,500 on the radio, to test a spot is a worthwhile investment, if done right. We prefer to test and perfect, advertising campaigns, on the radio first, and once we have built a proven model, then and only then expand to television cautiously. Addiction marketing is not like selling the latest gadget or book. When you are selling the latest gadget or book, you are relying on the marketing philosophy that if you reach the same potential buyer of a product seven times, they will order on the seventh time. Most advertising firms don’t understand addiction marketing. They sell their client’s repetitive spots on the same stations usually requesting four-week tests. That works great for widgets and books; it does not work for addiction treatment. When you place ads on the radio or television for substance abuse your goal must be to hit the right person, with the right message, at the right time. The first mistake people make in advertising treatment centers is advertising late at night on television. The problem with late night television ads is that the people that make calls responding to those ads, are usually in blackouts, and have no desire to get help the next day. Radio and TV ads that get the best results for substance abuse disorders are ads geared towards the loved ones of people needing treatment. 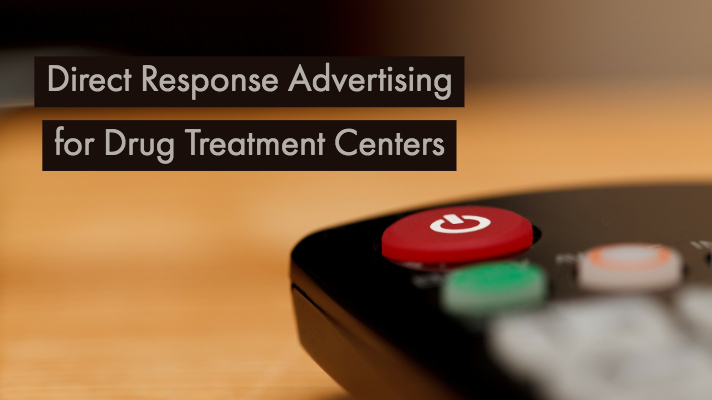 If you are considering using radio or television to advertise your treatment center, give us a call, and we will gladly access your situation and offer you some affordable options, that won’t break the bank. 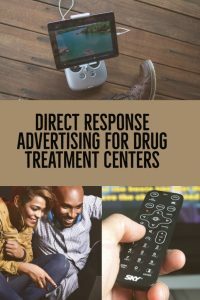 Do you have a question about direct response advertisement?